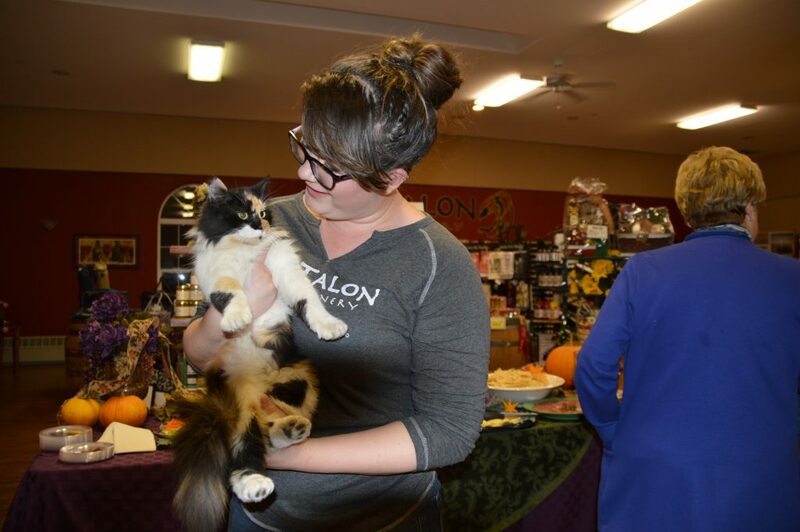 St. Kathryn Cellars was the host of Wednesday evening’s Business-After-Hours mixer for Palisade Chamber of Commerce members as well as a very persistent calico cat. 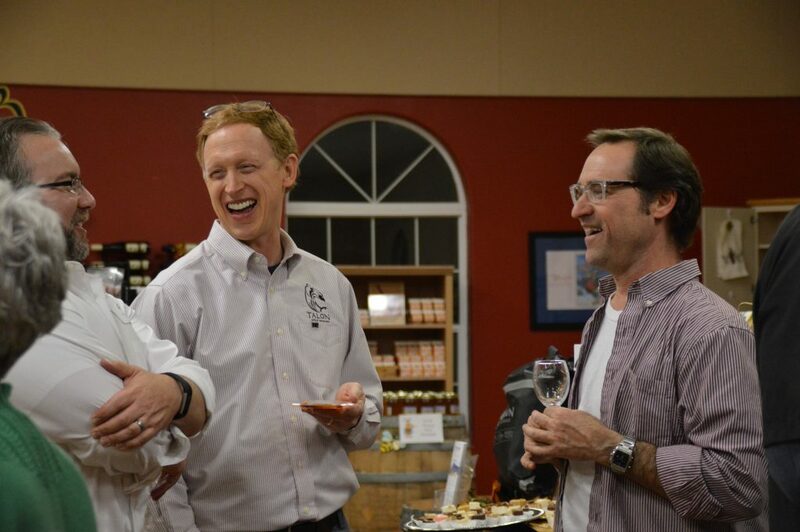 John Sabal of the Palisade Cafe 11.0, right, and Talon Brands winemaker Glenn Foster share a little holiday cheer. 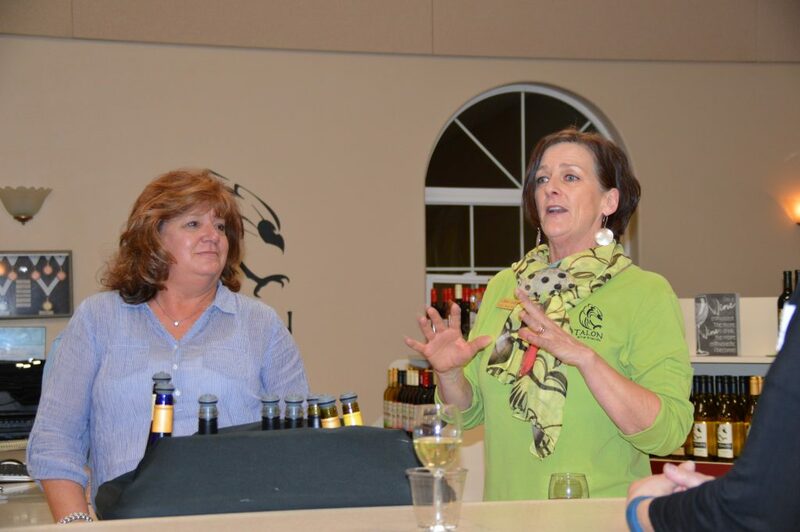 The Cafe now serves over 50 wines from Palisade and Paonia, including some Talon varieties. This little guy wouldn’t be kept from the party, no matter how many times he was put out, he’d find another open door to rejoin everyone inside. 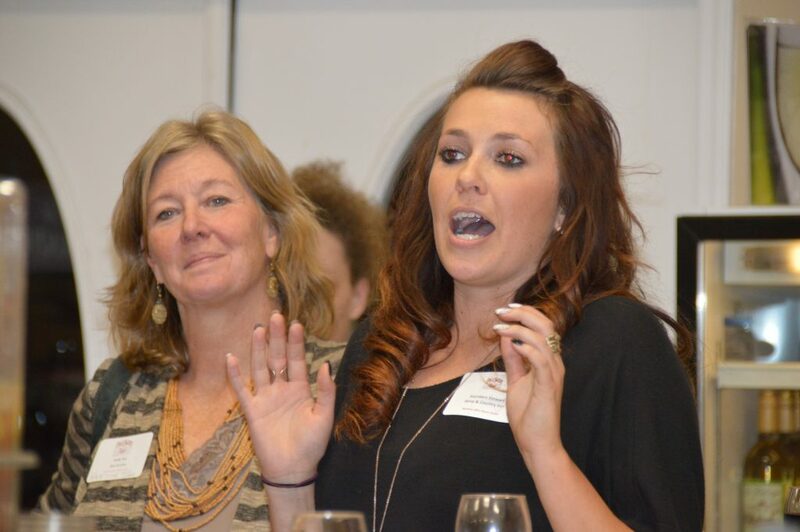 Tara Morrison of the Palisade Family Health & Chiropractic Center, left, tells everyone about their coat drive. They’ll waive the new patient exam fee for anyone donating a new or gently used winter coat of any size. Saunders Stewart expounds on the Christmas activities at the Wine Country Inn this holiday season, including a Breakfast with Santa and a Christmas Tea. 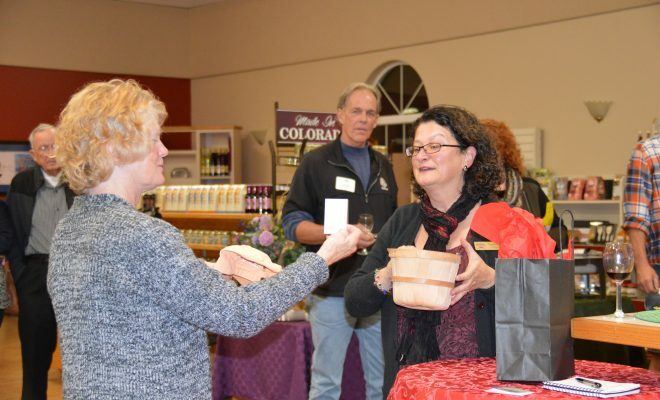 Palisade’s Olde Fashioned Christmas is only two weeks away! 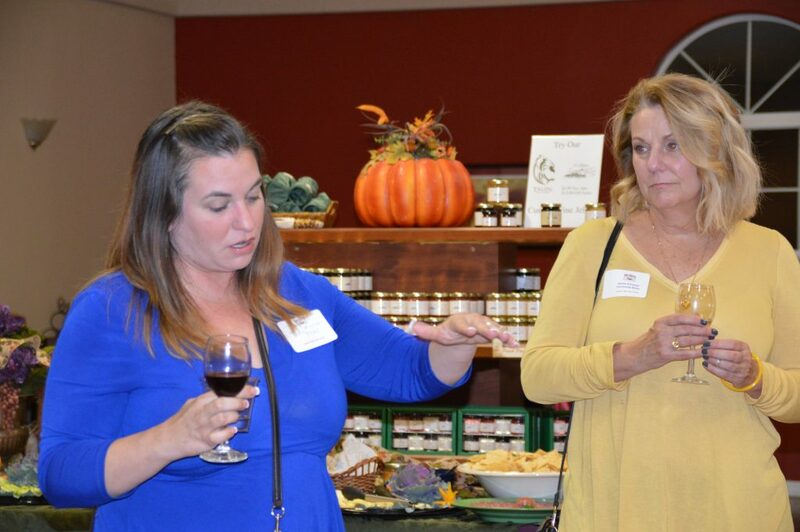 Colleen Lockhart, Talon Wine Brands, right, describes some of the holiday gift ideas and specials available throughout the tasting rooms at St. Kathryn Cellars. 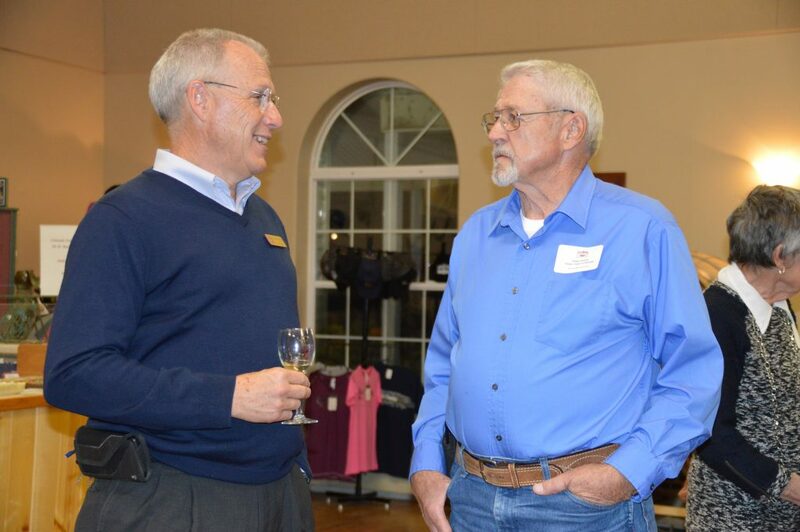 Scott Holzschuh, Colorado National Bank, left, talks with Palisade Mayor Roger Granat about the previous week’s election results. 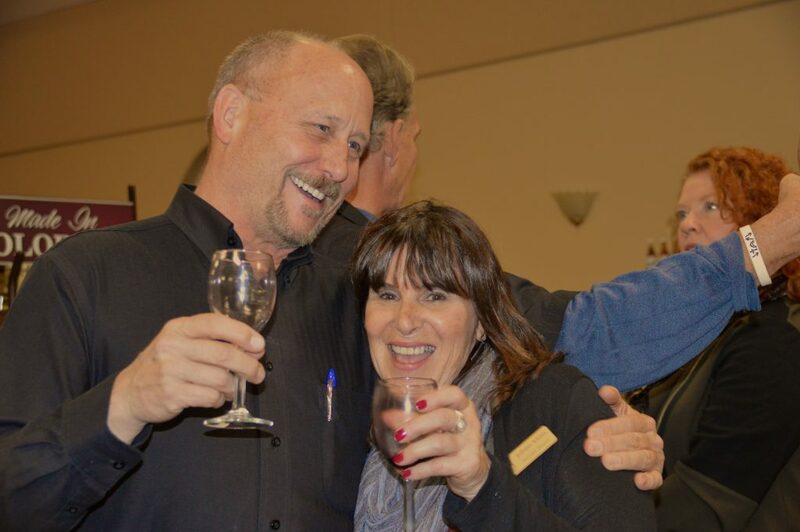 Jerry Felt and Juliann Adams raise their glasses to a happy and successful Olde Fashioned Christmas season for all. ← Previous Story The 3-5-7 is officially Open!